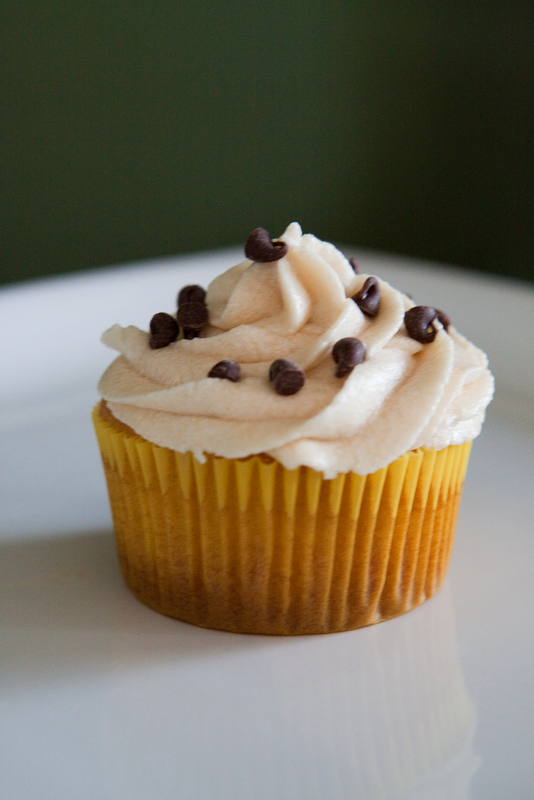 The Mostly Cookie Dough Cupcake is pretty much like what it’s called – a ball of chocolate chip cookie dough with a little bit of cake around it. And if that is not enough for you, then you’ll be delighted to know that it is topped with brown sugar frosting giving it more of a cookie dough flavor and then sprinkled with mini chocolate chips. This entry was posted in Cupcakes and tagged Chocolate Chips, Cookie Dough, Cupcake. Bookmark the permalink.